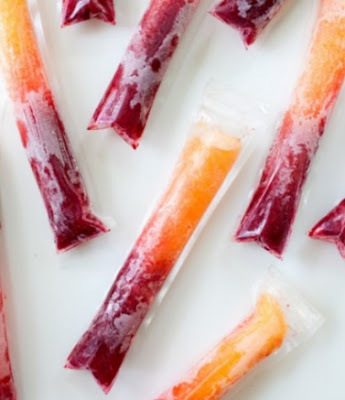 These homemade Raspberry Peach Pops are delicious! Please note, these ice pops contain alcohol and for adults only! Please keep them out of the reach of children and appropriately label them before placing them into the freezer to prevent accidental ingestion. Today's guest post recipe is courtesy of Sparkling Ice. If you're looking for the plastic ice pop molds (wrappers), you can find them on Amazon if not available in your local stores. I love fresh fruit and I like all the Sparkling Ice flavors. This would make a delicious pop.